To pick a good pineapple or mango, it’s important to trust your senses. Rather than poking and prodding your fruit, focus on weight, color, and fragrance. Pineapples should be heavy for their size with solid green leaves at the crown. You’ll know a pineapple is fully ripe when it’s bright green body presents a sweet fragrance. When selecting a mango, look for one that’s multicolored with swaths of deep red and bright green. They should smell sweetly fragrant and be somewhat sappy at the base. 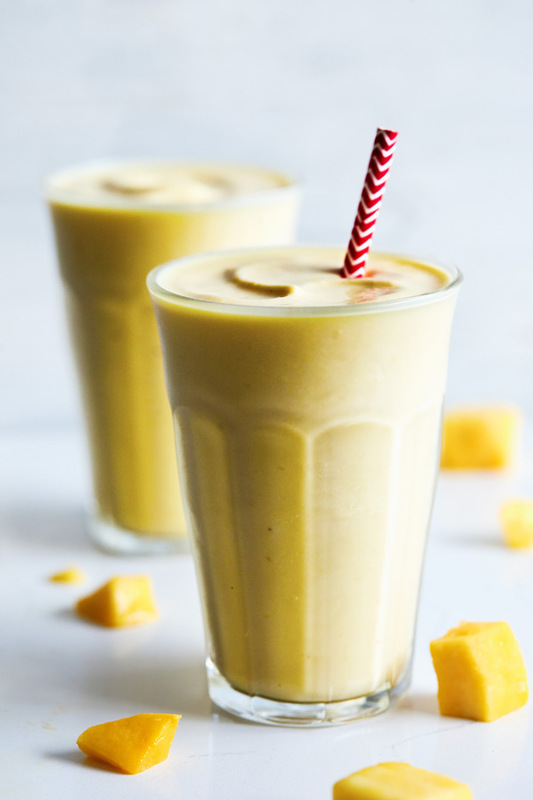 Once you’ve got your fruits, combine them in this tangy Pineapple Mango Smoothie recipe. 1. Place water, Shakeology, pineapple, mango, orange peel, and ice in blender; cover. Blend until smooth. Older PostMake This No-Cook 21 Day Fix Meal Prep in About an Hour!